A weekly newspaper is retelling a long-lost local legend about the ‘town that bought a racehorse’ as part of a fund-raising campaign. In 1962, the Kent and Sussex Courier organised a competition which enabled 700 readers to buy shares in a horse called Tunbridge Wells. The paper’s sports editor at the time, Frank Rushford, came up with a ruse which to bypass National Hunt regulations which barred a horse from having more than four owners by appointing himself and three friends as stewards. However race authorities decided the shares model broke the rules and horse was sold at the end of the season. 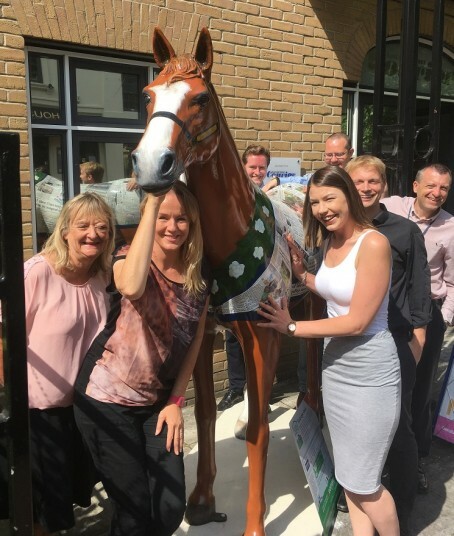 Now the paper is retelling the story with the help of a life-sized horse sculpture which will stand outside its offices in Tunbridge Wells until September. The sculpture is one of 25 being erected in prominent positions across West Kent and East Sussex in aid of the Hospice in the Weald’s Herd Of The Hospice campaign which aims to raise £100,000 and awareness of its cause. The Courier – as media sponsor – has chosen to decorate its sculpture in commemoration of the first (and last) racehorse ever to be owned by a town. Tunbridge Wells was designed and decorated by artist Emma Wells. The horse’s newsprint race rug features cuttings from the time alongside contemporary articles about Hospice in the Weald. 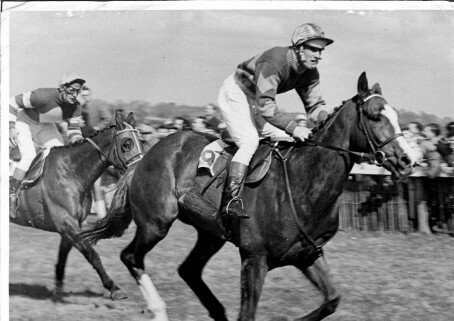 The original ‘Tunbridge Wells’ is pictured below on course for victory at Plumpton as 500 locals cheered him on.